What’s special about Premax Anti Friction Balm? When we develop a product at Premax, it’s at least a two-year process. We start with the ‘problem’ and in the case of anti-chafing balms, the issues we discovered were that other products didn’t go the distance – especially in the salt water, and that tube-based products were messy to apply, and that petroleum-based products would eat away at wetsuits. There had to be a better alternative, so we started from scratch and enlisted some of the world’s best endurance athletes to help test and refine the product so it was more effective and better for the skin than any other product on the market. Over two years later, Premax Anti Friction Balm hit the shelves, well actually, the sports bags of triathletes, runners, adventurers, and many other people that experience chaffing. Premax Anti Friction Balm is highly effective. You can trust it to keep working for hours on long runs, during excessive sweating, in the salt water, or just with day to day use. Don’t take our word for it, please have a read of marathon adventurer James MacKeddie’s review of our product. He’s not an Ambassador for us, and wasn’t paid for his review. 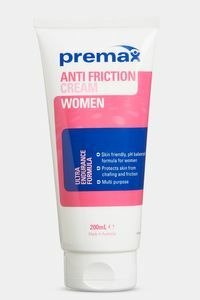 If you’d prefer an anti chafe cream in a tube, please take a look at our Anti Friction Cream or Women's Anti Friction Cream. 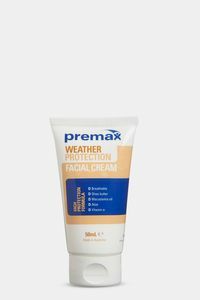 If you’re into exercising outdoors, then you may also be interested in our ultra-dry Sports Sunscreen SPF50+ and Weather Protection Facial Cream for cold, harsh, and windy conditions. 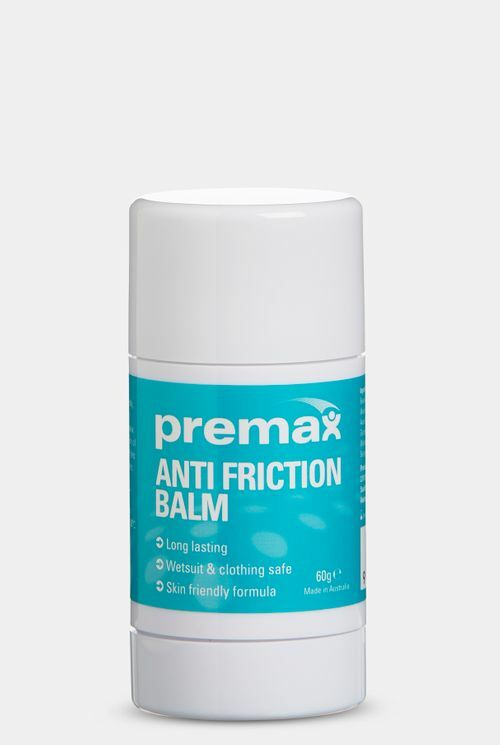 How should you use Premax Anti Friction Balm? Anti-friction balm is a must have for Marathoners. On race day I use it liberally on my feet and toes, plus other areas that are vulnerable to skin irritation from rubbing such as my crop top band. My partner Dylan and I have both been using the Premax Anti Friction Balm to prevent and manage blisters whilst travelling abroad and are very happy with the product. It’s small size makes it easy to travel with but it conveniently lasts for a very long time so we haven’t had to worry about replacing it whilst away! Being a triathlon coach, sports physio who works with elite triathletes, and a 10 x Ironman triathlon & Kona finisher myself I’ve used my fair share of anti friction products! Hand on heart, the Premax Anti Friction Balm is the best I’ve used. It is very easy to apply and I have never been chafed at all when I have used this product. Quite simply, it's the bee's knees! If you swim in a wetsuit, use a heart rate strap or wear anything else that rubs, then you simply can not go past Premax Anti Friction Balm. Not only is it the most magical balm I’ve come across, but its easy application is a dream and unlike some it does not mark your clothes/kit.